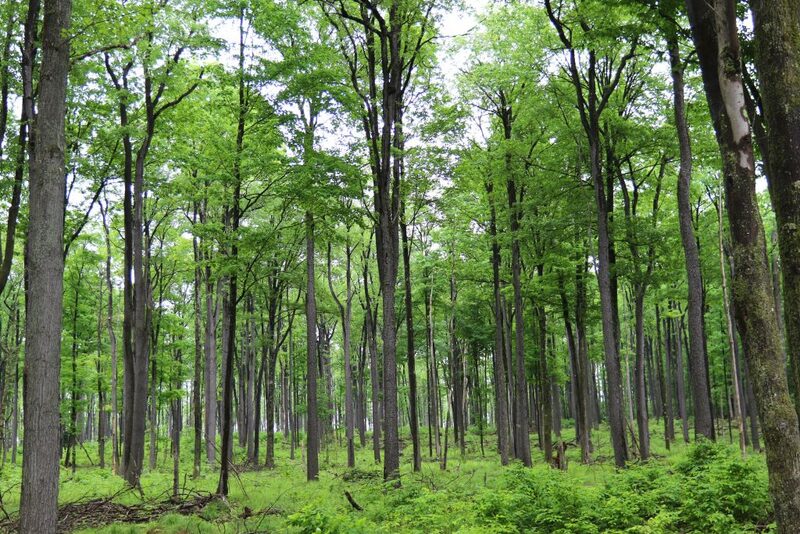 In 2017, Lyme secured 67,500 acres of premium timberland in northwest Pennsylvania and southwest New York in two transactions. To finance the transaction, Lyme accessed financing from conservation partners, including the state of Pennsylvania’s clean water revolving loan fund, PENNVEST, and The Conservation Fund. In exchange, Lyme donated a conservation easement on 9,400 acres, will perform at least $700,000 of acid mine drainage remediation work, and made 51,000 additional acres available for working forest conservation easement purchases by the Pennsylvania Department of Conservation and Natural Resources over a seven year-period. From the outset, Lyme will manage over 63,000 acres of the property as if it were subject to a single, comprehensive conservation easement. The lands grow some of the finest quality hardwood sawtimber in the world, including black cherry, sugar maple, red maple, ash, and northern red oak. Under the terms of the contemplated conservation easements, the lands will accommodate public access for hunting, fishing, and other recreational activities. Lyme will manage the land for timber and restructure property operations, creating and supporting dozens of new logging, mill, and trucking jobs. David Andrus serves as the General Manager for the property.